Vogan is the main villain of my entire series and the leader of the shadowy organization that has been hunting the Young Guardians from behind the scenes. Out of all of the characters I have created for my books, Vogan is the most complex and underwent the most changes when I designed him. For the moment, Vogan’s ultimate goals and objectives are a mystery, but his plans will be revealed when volume three is released. From an anime and manga perspective on just how ominous and dangerous he is, I would estimate Vogan to be Sosuke Aizen, Albert Wesker, Madara Uchiha, and Sephiroth all rolled into one. I will not reveal everything about him before the third volume comes out, but what I can say is that he is a tragic villain with a god complex. In addition, I modeled his personality on what I consider to be the absolute darkest aspects of my personality. If Patrick Donovan represents my light side, then Vogan represents my dark side. In terms of power, I would say that Vogan is without a doubt the most powerful enemy the Young Guardians will ever face. So, watch out for this guy when volume three comes out. I would like to thank My Book Self for nominating me for the “Very Inspiring Blogger Award”. I am honored to have been selected. 1.) 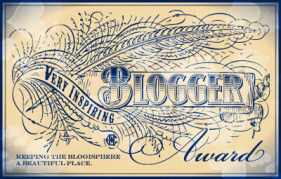 The nominee shall display the Very Inspiring Blogger Award logo on his/her blog they got nominated from. 2.) The nominee shall nominate fifteen (15) bloggers he/she admires, by linking to their blogs and informing them about it. 3.) Write three things that inspired you the most this week. 1.) Looking at the vastness of the Sierras from the top of Mammoth Mountain. 2.) Walking along the salt pillars surrounding Mono Lake. 3.) Taking a bite of a freshly baked molten chocolate lava cake. 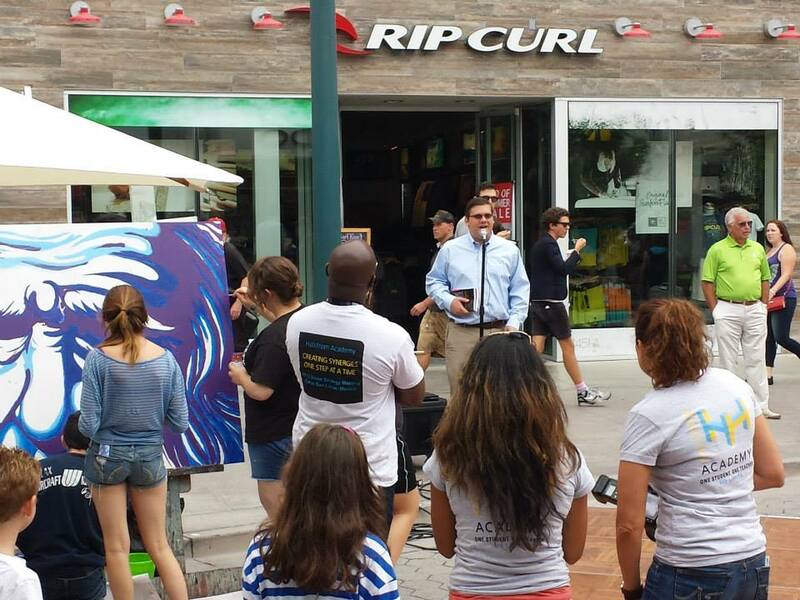 Here is a photograph of me giving a speech during one of my book signings. During this speech, I described a question that has scratched at the back of my mind ever since I started my series. Is it better to be human or neohuman? When I consider the fundamental differences between normal human beings and neohumans, the answer is quite obvious in my opinion. As a mere mortal, your capabilities are extremely limited as you are vulnerable to aging and disease and the experience you gain is minimal due to your relatively short lifespan. On the other hand, as a neohuman, you are immune to disease and aging and you have a collection of tremendous abilities to help you do what you otherwise could not. Another upside of being neohuman is that because you are permanently healthy, fit, and ageless, you literally have all the time in the world to gain as much life experience as possible. There are a few drawbacks of being a neohuman though. Although neohumans do not age or get sick, they can be killed if the physical trauma they sustain is great enough. In addition, their advanced lifespan can result in psychological effects that will be illustrated by the main villain of my series when the third volume comes out. With these factors in mind, which would you choose to be? Human or neohuman? 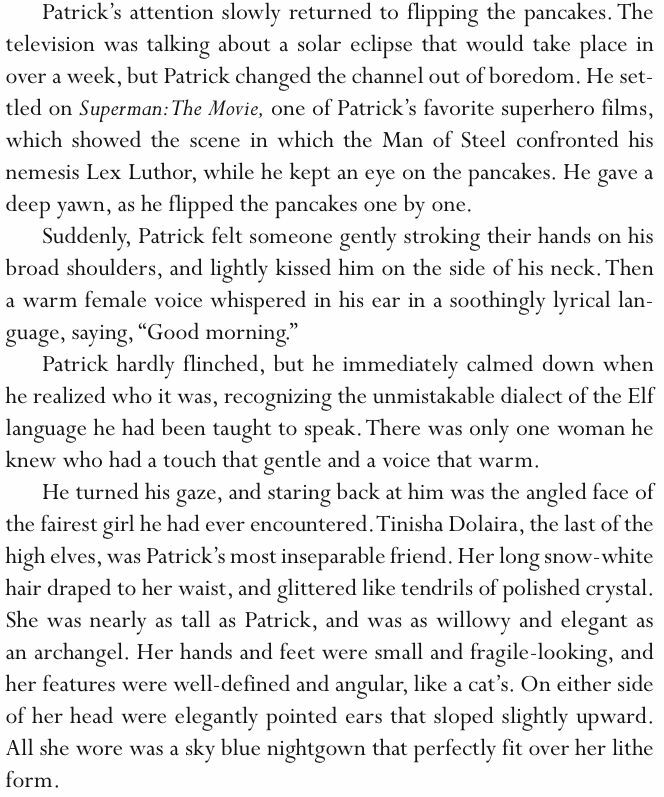 Here is a brief sample from the second volume of my series, The Young Guardians and the Great Darkness! Enjoy! WRITING UPDATE: THIRD VOLUME COMPLETE!!! Great news! I have finally completed my third volume! Now the editing process can begin! At the same time, I will be beginning the fourth volume of my series! Wish me luck and I will keep you updated on any further developments! One of my all-time favorite superhuman abilities is telekinesis, which is the ability to move objects with their minds. If properly used, it could be powerful enough to lift a bus off the ground and precise enough to levitate a coin. In rare cases, an extremely powerful telekinetic could manipulate the individual atoms in an object either to rearrange them in a different way or to dismantle the object on an atomic level. However, despite its generally basic concept, I realized that this power can be utilized for dark and violent purposes. In anime such as Akira and Elfen Lied, I could see that telekinesis is essentially the perfect murder weapon, allowing the wielder to effortlessly eviscerate or implode their victims by will alone. The reason for this is because since the user is not physically touching their targets, they leave no physical evidence that could be pinned on them. When I interviewed one of my best friends on what power he would want his character Gregory to have, he chose this ability. Fortunately, I decided that Gregory would use telekinesis in a much more conservative fashion, which would better suit him in his duties as a superhero.